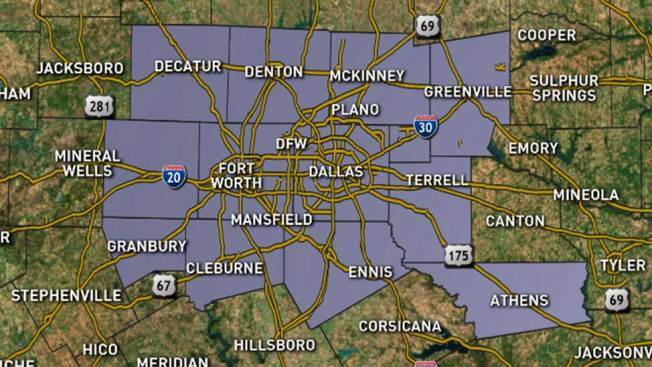 an Ozone Action Day, also known as an Air Quality Alert, for the Dallas-Fort Worth area Thursday. Air Quality Alerts were designed by the government to communicate to the public on how much pollution there is in the low levels of our atmosphere, the air we breathe. They are common across North Texas this time of year. An Air Quality Alert is issued when there is a high level of pollutants, such as ozone, near the surface that can potentially affect your health. Ozone at the surface is harmful to your lungs and health and breathing it can trigger asthma attacks and other respiratory issues. The elderly and very young are most at risk. Ozone in the upper levels of our atmosphere helps protect us from harmful rays from the sun. This is the good ozone. You can do your part in preventing pollution by carpooling, walking, riding a bicycle, taking your lunch to work, avoiding drive-through lanes, conserving energy and keeping your vehicle properly tuned.